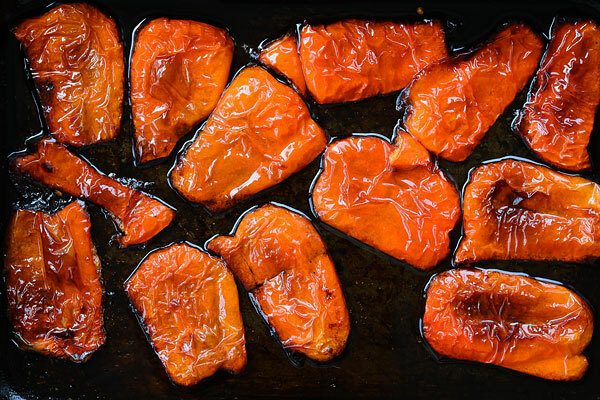 Roasted red peppers, is there anything more divine! These can be shop bought but I take great pleasure in roasting my own and peeling the blackened, sticky skins off. Then I share the skins out equally between me and the girls. Betty and Bo always sit patiently at my feet when there are roasted red peppers about; they are such foodies! Leave the peppers to cool in the bag. When they are cold remove the skins.